Aamir Liaquat’s second marriage with Syeda Tuba Anwar was in the news a lot lately mostly for all the wrong reasons. Aamir Liaquat and Syeda Tuba Anwar’s marriage came to the limelight unexpectedly and that is when they got all kinds of reactions from the public. 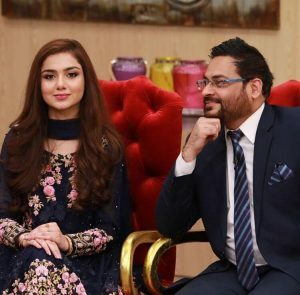 For the first time Aamir Liaquat and his second wife came to a show together. They were invited as guests on Salam Zindagi. Besides other things, they also discussed their relationship in detail. 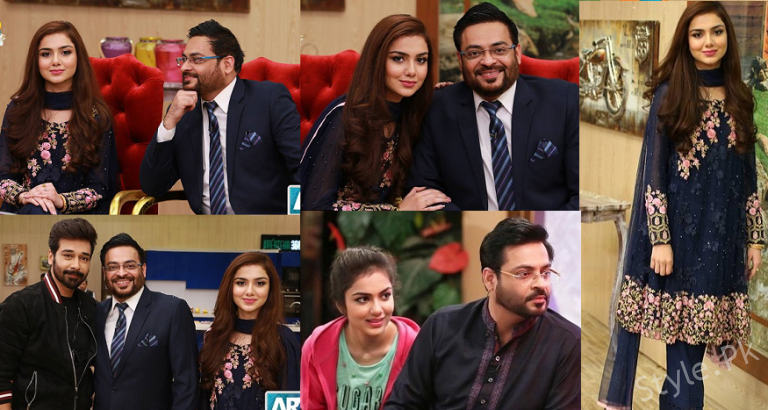 Syeda Tuba mentioned that she was greatly impressed by Aamir Liaquat’s wit and intelligence. She said that he is blessed and gifted because he has a remarkable memory. Apart from this, she also talked about the kind of relationship they have. Tuba said that they were friends before everything else. She also said that Aamir Liaquat loves to cook and on her first day in his home, he cooked nihari for her. He also cooks for her very often and many delicacies too. She also said that apart from other things, Aamir Liaquat was a great human being. She said that he was greatly misunderstood and no one knew the actual person he was. Aamir Liaquat’s second wife also said that he was such a wonderful person that anyone who got to know him closely would never leave him.